CONGRESS 17 | If Rep. Eric Swalwell’s defeat of Pete Stark has any lasting effects, it is within the realm of making similarly older representatives in the Bay Area caucus, like Rep. Mike Honda, worried they could be next. Honda, according to insiders in the South Bay, is one of those hoping he isn’t the, so-called, next Stark, who sticks around one election cycle too long before being overrun by a more ambitious challenger in their 30s. Honda’s worry appears to have manifested itself Monday with President Obama’s endorsement of his candidacy in 2014. If you may recall, Honda just won re-election last November, but the help of the president and, by extension, the party establishment, so early in the game is a clear signal he is deathly worried about the possibility of Ro Khanna running for his seat in the 17th Congressional District. The upshot of the announcement, undoubtedly, is for Honda to accentuate the storyline of Khanna, a former Obama appointee to the Commerce Department, being passed over for support of the 71-year-old Honda. However, much of this story needs to be read between the lines. Last week, the Democratic National Committee jettisoned Honda as its vice chair in favor of the youngest member of Congress, Rep. Tulsi Gabbard (D-HI). She is the same freshman lawmaker, who follows, in the vein of Swalwellian over ambitiousness, applied for the appointment to Sen. Daniel Inouye’s U.S. Senate seat following his passing last month–just three days before she was even sworn-in for her first term in Congress. In addition, there is common agreement Honda is one of the most gracious members of the Bay Area congressional caucus, so it is no surprise he was given various escape routes to other jobs in government allowing him to save face, rather than potentially face Khanna and his strong ties in Silicon Valley and, most importantly, his $1 million-and-counting war chest. Apparently, a seat, say on the Federal Election Committee or a continuing role in education, is of no interest to Honda. Enter the president. Posted in 2014, CD17, congress, Democratic Caucus, endorsement, Mike Honda, Pete Stark, President Obama, Ro Khanna, Tulsi Gabbard. Bookmark the permalink. Khan-job Khanna is a carpetbagger troll. If at first you don't succeed–San Mateo County, try–Alameda County–try again–Santa Clara County. The man in the moon has a better chance than this pathetic loser. Mike Honda hasn't been in Congress for forty years. He succeeded Tom Campbell and is doing O.K. No Pete Stark here. Hmmmm. Interesing the Alameda AFL-CIO is already stepping in to prop up Honda with a press conference in Fremont. They couldn't save Stark. None of the septagenarian delegation is going to leave voluntarily after years of not caring about local issues and elections. Time to go. Ro needs to establish a base before he challenges anybody. Eric grew up in the district and was a Alameda County DA. What has Ro done for the Bay Area? Supposedly helped NUMMI- not here anymore. The blatant ignorance by some of the regular commenters on this blog are shameful and appalling. If Khanna was a pathetic loser as one of his so called critics labeled him, do you think Mike Honda would really be worried about him? It is really no surprise that the President has endorsed Honda, since it's a standard policy to endorse incumbent candidates. But the fact that Congressman Honda asked for the President’s endorsement before Ro Khanna even announces his candidacy shows that he is clearly worried and takes Khanna very seriously. It shows that Honda respects Khanna and considers him to be a formidable candidate. Sitting presidential endorsements have been poison to some candidates in recent years, so I don't think it will deter Khanna from running in CD17. As for the carpetbagger accusations, that simply is not true! He ran against Tom Lantos in San Mateo County 10 years ago. He has since moved to Fremont (Alameda County) and has lived there for several years. In case anyone is wondering, Fremont (Alameda County) is represented by both Eric Swalwell's and Mike Honda's Congressional districts. Khanna never declared which district he was planning to run for when filing papers with the FEC. He never declared that he was going to run in Swalwell's district, so to call him a carpetbagger is erroneous and absurd! Look, I respect Congressman Honda. He has been a good public servant for many years. But there comes a time when incumbents need to graciously step aside and allow a new generation of leaders an opportunity to serve their community. Word on the street is that Congressman Honda has told people that he wants the seat for another 10 years. That would make him older than Pete Stark by the time he intends to step down. I'm sorry, but that is ridiculous! Congressman Honda should consider accepting an appointment with the Administration or perhaps accept a leadership role with the Peace Corps. He can be an effective leader in other areas, but it is time for him to step aside from Congress and give someone else a chance to server. Term limits really need to be imposed. Thank goodness for California’s top-two primary! Incumbents in California are no longer guaranteed to be safe. Ro Khanna is a rising star in the Democratic Party. The future is now! Khanna is the best candidate the Bay Area has seen in years and he would be a terrific representative of CD17 with his strong background in manufacturing and job creation. If Khanna decides to run, I am looking forward to a very spirited campaign. With the top-two primary now in effect, it would undoubtedly be the most exciting campaign in 2014. GO RO! There might be something for him on a parks' district board of directors or something more suited to his 'talents.' Needs to let the adults take care of business in the capitol. What? Business as usual? Are you kidding me? I want what some of what you are smoking. Congress' approval rating has been between 9% – 15% for the past 4 years. The “adults” aren't doing a very good job. I don't think it takes a genius to assess that it's time to clean house! Literally! They want no change, no competition, no new ideas. 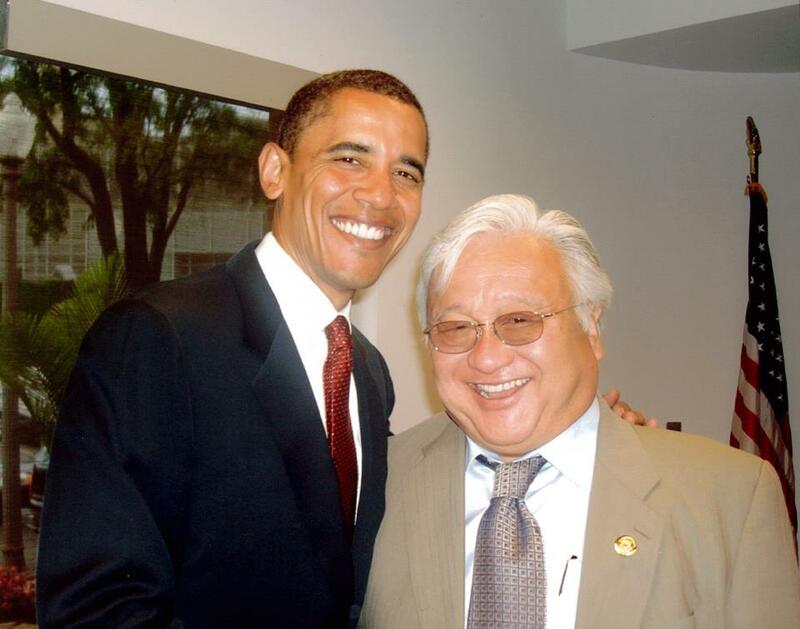 I have lot of respect for Mr.Mike Honda as being the first Asian in the congress and assisting the Japanese community. I donated to his campaign for a while even though he was not supporting the other Asian aspirations. He passed couple of legislations supporting the Japanese while they were undergoing bad economic downturn with surmounting debts etc. I cannot think about any other landmark legislative achievements. People from his old & new district have been complaining that he does not even return phone calls nor address their grievances when there was an issue of possible conflict between China and Japan.. Since last few months he has started visiting his district to meet Asian people as an after fact to protect his seat. This 17th district is a new district for Mike after it was redistricted last year and he still has not moved his house to the new district..Do you call it carpet bagging? The redistricting was one of the reasons why Pete Stark lost his elections..he was no more an incumbent to the new district and many people had not heard of him nor was there any past relationships.. Same is the case here with Mike.. Silicon Valley is the cradle of excellence where brightest of the brightest people come from all over the US and world to make their homes. Did you know more than 50% of the Silicon valley residents are immigrants not carpet baggers? I have distinct honor of meeting Mr. Ro Khanna a few times since his campaign against Mr.Lantos. I see in him the future of USA. I think this is what Late Hon.Tom Lantos too saw in him and took him under his wing after winning the elections and mentored by introducing him to many congressman as the future of America ! Mr.Khanna is an exceptional human with huge respect for senior congressman – Late Mr.Tom Lantos, Mr.Pete Stark & Mr. Mike Honda. The only reason he stood against Tom Lantos was because he was against the IRAQ war “issue” started by Mr. Bush and Mr.Lantos supporting the war. After his loss the Democratic Party Leadership advised him to build his base in Fremont as it was predominately an Asian district. I guess he then must have evaluated which district to run and had decided to represent the 17th district. This would have been an easy run as the district was completely new for Mr.Honda . I understand from the grapevine that Mike advised him to run against Pete as he wanted another term. He wanted a graceful exit for Mr.Pete Stark & Mr.Mike Honda. Pete did see a future in Ro and many things were discussed and planned not to rock any carts. Why did the US congress vote unanimously for Ms.Tulsi Gabbart a 31 year old over Mr.Mike Honda as the DNC Vice Chair(http://www.ibabuzz.com/politics/2013/01/22/mike-honda-is-no-longer-a-dnc-vice-chair/ ) ? Times are changing and we need young brigade to take it to the next century..ignore the press releases which Mike released after 2 days of his election defeat , which was an afterthought to protect his base. I strongly recommend you read Mr.Khanna’s book (http://www.amazon.com/s/ref=pd_lpo_k2_dp_sr_sq_top/191-1630918-2332157?_encoding=UTF8&index=blended&keywords=ro%20khanna%20manufacturing%20america&pf_rd_m=ATVPDKIKX0DER&pf_rd_s=lpo-top-stripe-1&pf_rd_r=1VN3PHCAJB5SHHQ4M8DH&pf_rd_t=201&pf_rd_p=486539851&pf_rd_i=0071802002 )on “Why manufacturing is key to America”.. this book has been endorsed by who’s who of the silicon valley innovation gurus and CIO labor unions.. you must ask why ? What does Mr.Michael Spence, Nobel Laureate in Economics, Mr.Andy Grove(Intel Founder) or Mr.Paul Otelleni or Mr.Vinod Khosla(Sun Microsystems Founder) or Mr.Richard Truma President AFL-CIO and others get by endorsing Ro..they are retired professional with no political ambitions(some of them are even Republicans). If you have even itty-bitty respect for these SV legends you will understand that they see the vision through his eyes for the future of America. I think this election(if at all Ro announces) will be about making sure we the Silicon Valley residents elect a candidate who can rejuvenate the Silicon Valley, where greatness is born every day and can change the world for a better place ! We all should endorse Ro for America for our children’s future !! Just saw a post on Facebook that Honda snagged Pelosi's endorsement. Honda must be scared out of his wits! Judging by how the Swalwell-Stark race turned out last November, I'm not sure it's in Honda's best interest to secure these high profile endorsements. Voters are tired of the establishment and will see right through it. Honda is just being lazy because he doesn't want to face a tough campaign. Unfortunately for him, I don't think any of these shenanigans will scare Khanna out of running. At least I hope it doesn't. Honda along with about 80% of Congress needs to be fired. Khanna would make a better Congressman than Swalwell and probably Corbett, but not Honda. He should run in the 15th. All a bunch of commies either way. Strange how we are thinking about the next election even before Obama has his cabinet in place. When would these folks have time to govern. And the press is kind of stupid to even entertain and fan the flames of political gossip. They need to get a life and instead report on how our elected are governing or “not governing.” Instead of bashing old age, they need to appreciate it by looking at a retiree Guv in Jerry Brown and his success in turning this state around after “the Terminator” terminated this State's leadership since he was busy fathering a hidden son and keeping it from his wife. Honda is definitely popular and likeable, but a joke as a congressman. His staff just does a good job of making him look good. It's time for all Bay Area members of Congress over the age of 70 to step down. Not that some of them aren't effective, but the congressional approval rating has been in the toilet for years. Out with the old and in with the new. Time to clean house! Honda not a good fit to be a politician. More f a tour guide. Don't think that Honda is equipped to bring the jobs back to US. Ro might have some creative ideas. Lets give a fresh start. Its more of seizing the opportunity rather than a sign of desperation. I recently been to a car dealership in Lynbrook and I don't that think that Honda is on a decline even after the recession. Who wouldn't want that position, right? He's just protecting his assets. Honda is still on top in its field so I do think that Mike Honda is doing a good job. If would find great guaranteed car finance then I would definitely choose Honda brand rather than others. It shows in his early endorsement that he is alarmed. Honda is definitely not on the rise. Here's a fact, I went to buy used cars in Brooklyn and I observed that Honda was not so popular to buyers and traders. Maybe its their expensive spare parts that are pulling them down. Perhaps motorists don't trust them that much yet. One good sign that a business is speeding up higher is their number of sales and not on who endorses it. Maybe a little more time will put them on top but it's certainly obvious, that is not today. I don't think Honda would even need an endorsement from popular people, they already proved who they are throughout the years. Honda cars have long lasting car radiators, and batteries. No doubt they have many patrons.